Order in the next 606 and get it tomorrow! 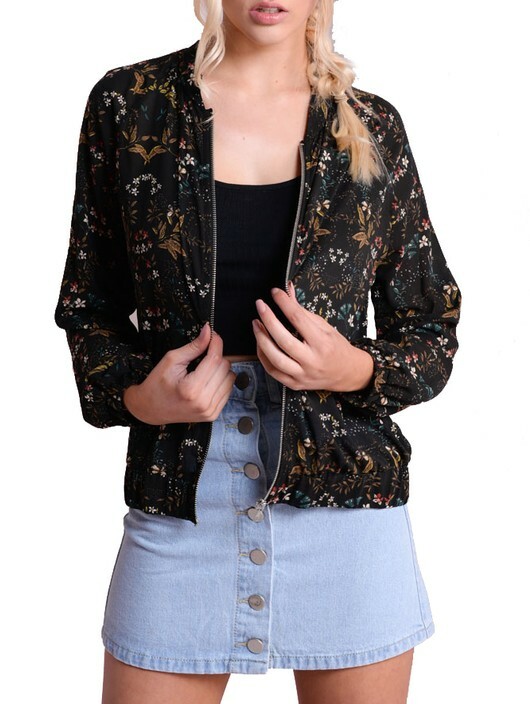 Add a dose of attitude to your feminine side with this cool floral print bomber jacket. Features a stretchy waistband and cuffs, middle zip fastening and a light material making it the prefect cover up for the summer months. Style with a plain pleated skirt and heels for the perfect summer party outfit. 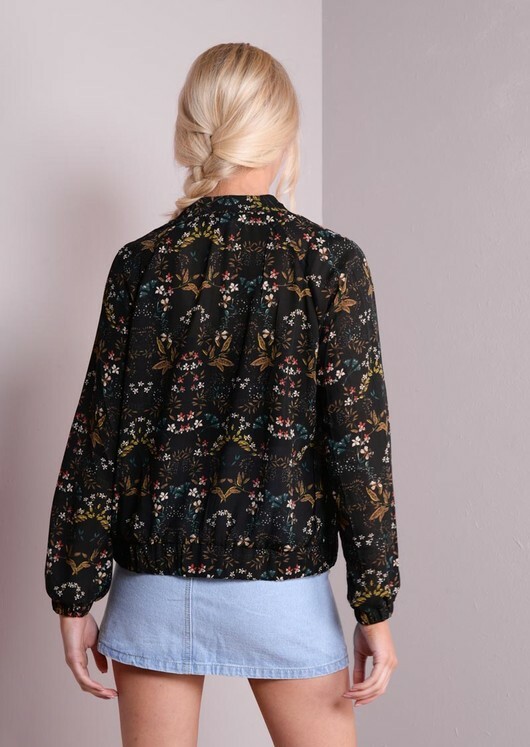 -Model wears size 8 and is a UK 8 and 5'8"